final match of five match series. Aerostar dove off the lights again (and wasn't caught as well this time.) Poder del Norte got help from OGT to win, taking the last 3 matches of the five match series. The tecnicos complained to Vampiro, who put both trios in the dome cage match later on. Shani beat Ayako to win the vacant title. Antonio Pena was honored after the match. Psycho, Fantasma, Texano and Escoria were dropped into the match on 09/07, with Dinastia and Wagner removed. A skit earlier in the night saw Vampiro suspend Texano (for threatening Fantasma Sr. on the last show?). Royal rumble rules with the last two going to a pinfall. EC3 and Eddie Edwards were scheduled but didn't appear (and AAA had quietly stopped listing them days before.) 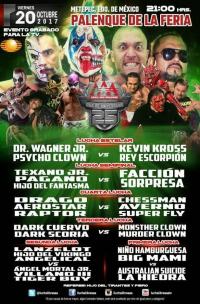 Rey Escorpion cheated to throw Psycho Clown out, but Psycho came back to do the same to him. Fantasma beat Mundo with the Thrill of the Hunter. Mundo falls on his sixth defense. Fantasma was presented with both a Cup and the title, only for Texano to attack him and walk off with both and the title. 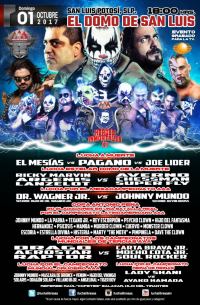 Poder del Norte & the tecnicos were added to the match. OGT, Argenis, Lanzeloth, Ricky Marvin, the six the match was built around, were the first six out. Poder del Norte tried handcuffing Raptor to the cage, but Aerostar, Lanzeloth & Argenis came back in and freed him. Match came down to Drago escaping and leaving Tito behind. Tito's lost his mask and his hair within four months. Tirantes declared all weapons were illegal in this match (when are they not? ), and Mundo framed Wagner for using a weapon to win by DQ. Sixth defense; Mundo keeps one of his three titles. Nosawa ran in and attacked both men, leading to no finish. 9:08. Psycho Clown beat Cody Hall via diving heabdutt. 6:09. Nosawa framed Vampiro for hitting Piero with a chair. Vampiro attacked the referee and chokeslammed a (AJPW???) trainee. 8:11. Ishimori blocked a SSP to set up the win. Son of Havoc won best dive in this match. 7:51. Everett beat Drago with a 630 splash. This match was awarded best match. 5:14. Referee was taken out and Nosawa fouled Psycho. 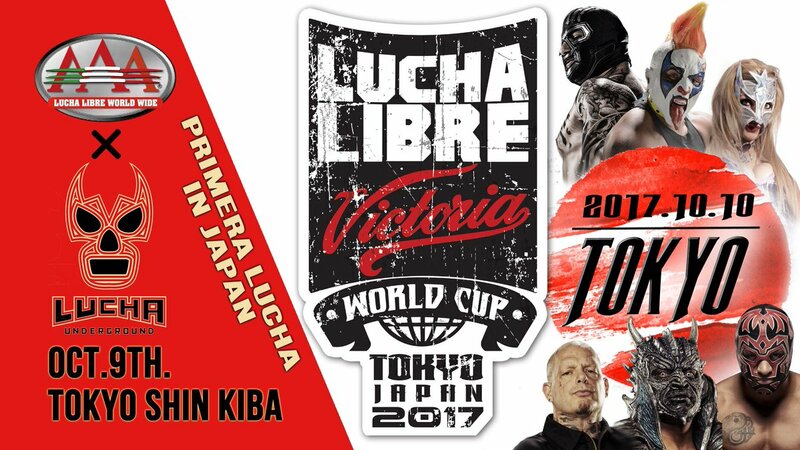 Vampiro inteferred to hit Nosawa with a chair to set up Psycho's win. Went to a time limit (10 minute.) Ishmori defeated DJZ in 2:11 of the overtime period. 11:08 via Thrill of the Hunt. 6:38. Psycho beat Hi69 with a Canadian Destroyer. Taiji Ishimori, who has been in the tournament every year, won the best wrestler award. Villano III Jr. replaced Australian Suicide. 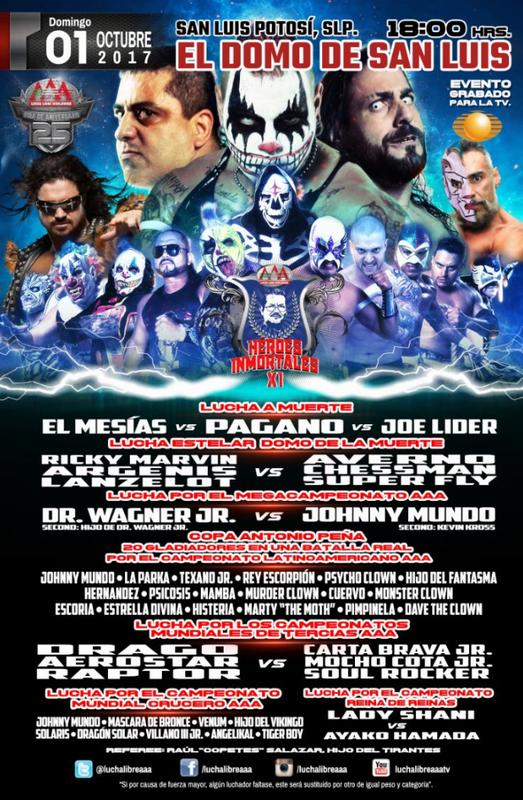 La Parka & Dave The Clown were added. Histeria & Psicosis ran into attack Parka (?) and Dave got the pin on Parka. OGT DQed for excessive violence. This is the only unmodified match on the show. Scheduled to be Fantasma, Pagano and Texano vs a mystery team. Fantasma had the win on Marty, but Texano hit Fantasma with the belt and Marty got the pin. 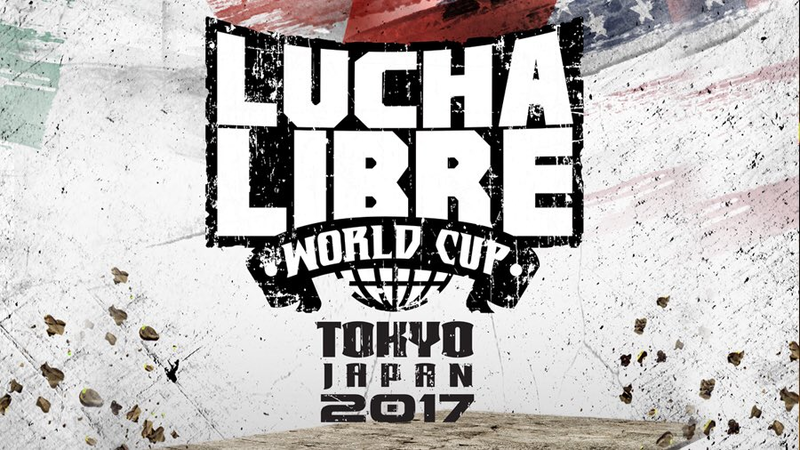 Hernandez replaced Kevin Kross. Rey Escorpion took Psycho Clown's mask after the match.